Hang on and enjoy the ride, with the Ronix Combo 3.0 Wakeboard Handle w/ 4-Section, Solin Hybrid Line. The Hine grip, with an embroidered pattern, is so easy to hang on to; even a beginner won't have an issue. Pair this, with 3mm of thick memory foam, and you have a high-performing, comfortable handle. 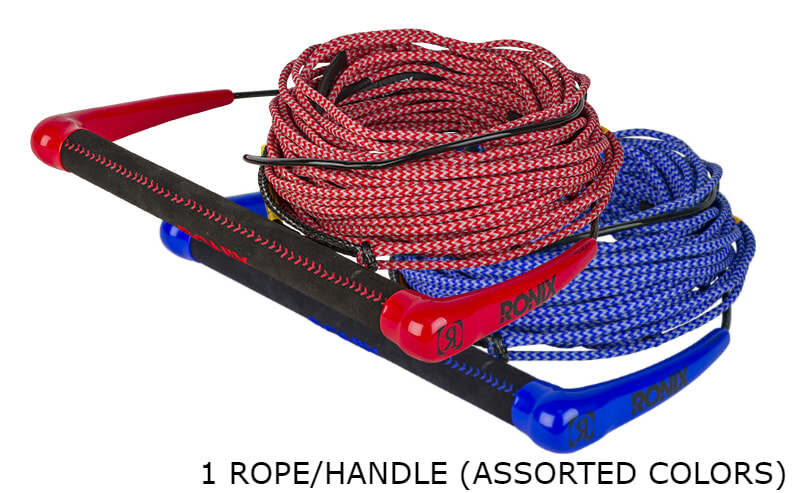 The 4-Section Solin hybrid line is 70 ft long, with 4 removable sections to customize your ride. 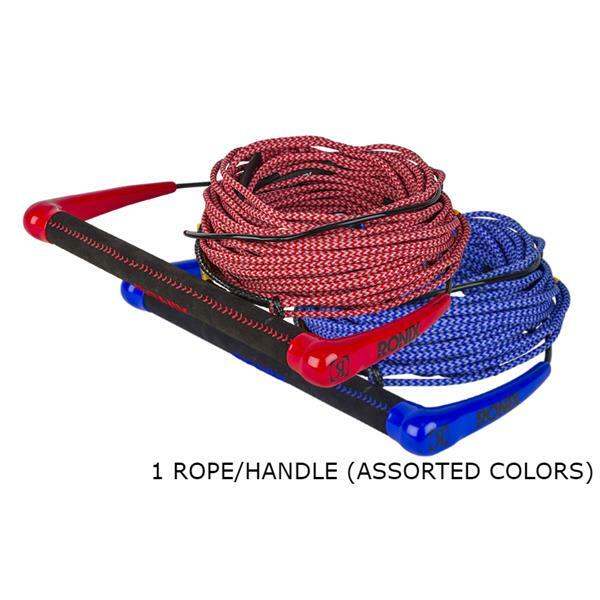 You won't have to worry about your line getting caught in your prop because this Dyneema™ line is filled with EVA foam, to keep it floating on the water.